There are lots of great restaurants in Makati particularly in Jupiter Street. Each resto has something unique to offer. From Filipino cuisine, American cuisine, to Chinese cuisine, you can find a resto here that serve quality food. 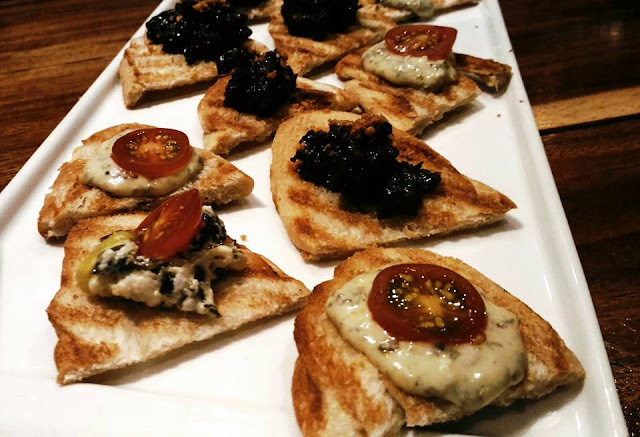 One of the newest resto in the city that serves happy-hearty comfort food influenced by international cuisines, the Cuore Bistro & Social Lounge. Cuore Bistro & Social Lounge is the first restaurant of Col Cuore Corporation, a corporation established in 2016. The name 'Cuore' is Italian for heart. The idea started as a small cafe business that eventually grew to a full service restaurant after receiving much interest from investors and partners. 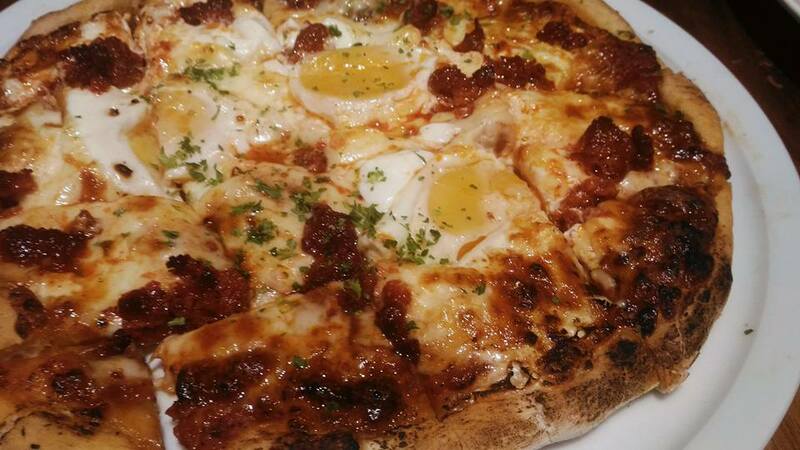 This resto serves salads, pastas, calzones and brick-oven pizzas name a few. In the recent event organized by AMPR (bloggers appreciation night), we're able to experience the great food of Cuore. 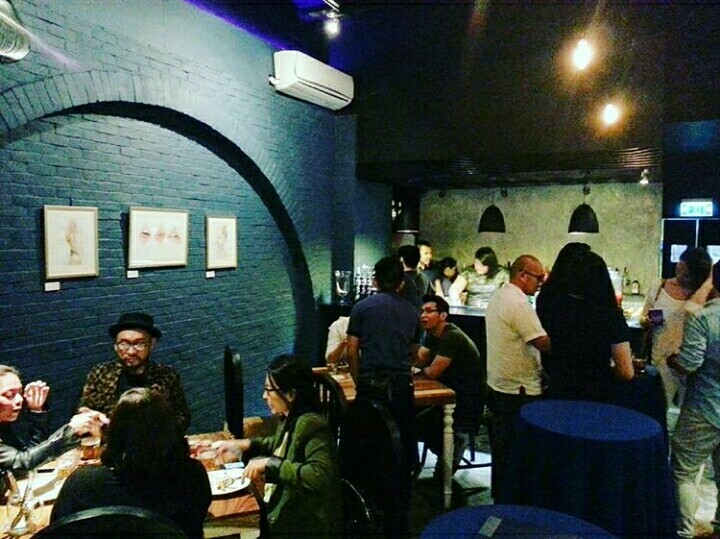 Upon entering the resto, I immediately noticed it's modern-look designs.The ambiance is a mix of elegant and industrial, with color tones of mainly blue and gray. The tables and chairs is mostly made up of wood. Let's talk about their food. One of the dishes that impressed me a lot was their BRICK-OVEN PIZZA. It's not that usual pizza we ordered in the mall. Toppings on this pizza include chorizo and egg and I really like it. I also love their classic favorites such as pesto, carbonara and aglio e olio. The taste was great! Cuore also serves refreshing drinks and alcoholic beverages. Cuore Bistro & Social Lounge is a perfect venue to meet your friends, colleagues, family and loved one. You will definitely enjoy here quality food and drinks. 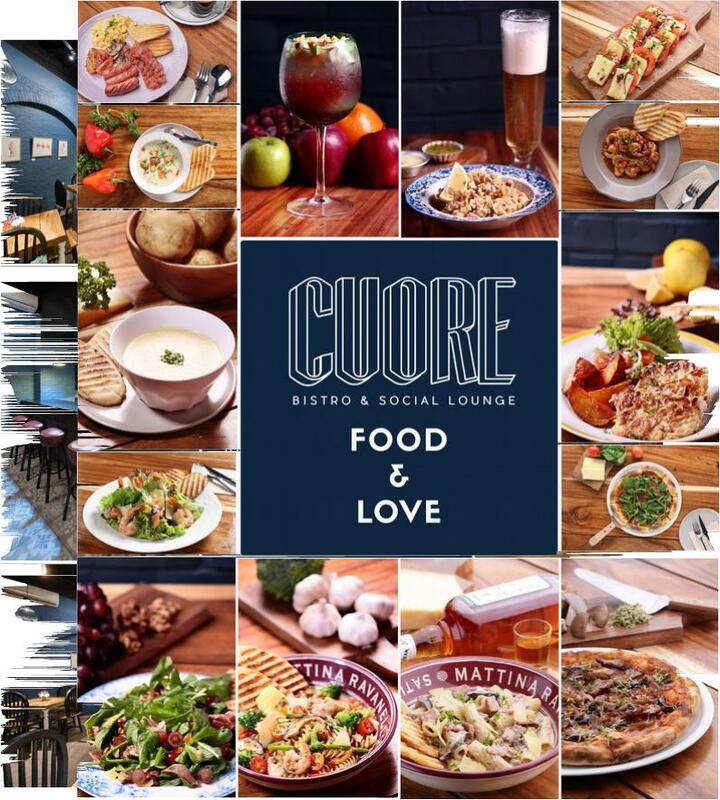 Cuore Bistro & Social Lounge opens from Tuesday to Sunday at 11AM to 1AM. It's located at 1-C Veldelcon Building #20 Jupiter Street, Bel-Air Makati City. You can call them at (02) 546 5789/ (02) 7764482 or email them at cuoremnl@gmail.com for more information about Cuore. This place is a gem in this wasteland of small bars. Came to Chicago venues on a Saturday night around 9:30, not too crowded at that time. Ordered 2 beers and fries and the total was around $16.